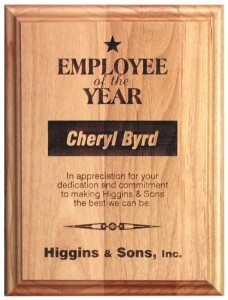 Laser wood plaques are available in a variety of woods. 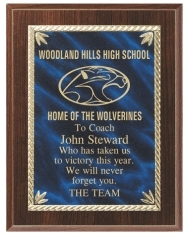 Laser engraving provides outstanding detail with superb contrast. 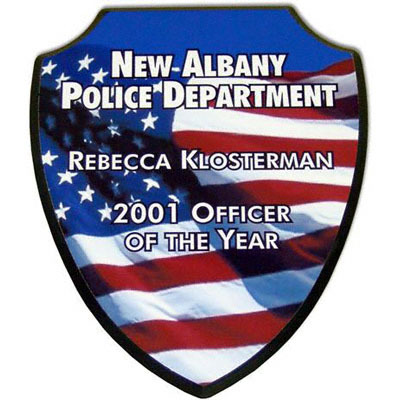 The entire plaque can be laser engraved or combined with engraved or full color plates. 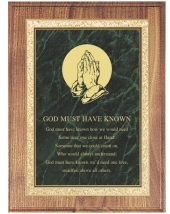 We can even engrave photos directly into wood plaques. 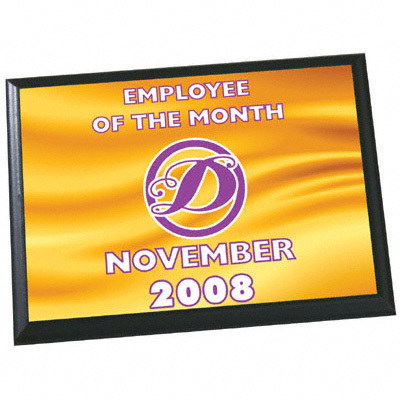 We offer a large selection of plaques combined with many different types of plates, borders, textures and colors to allow you to select the right plaque for any special occasion. 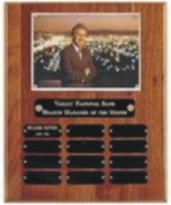 Click on any plaque to see more options. 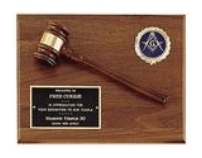 Contact us with your choice and personal attention. 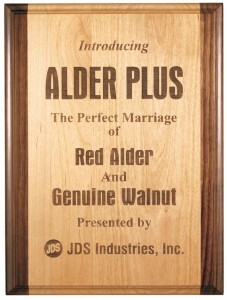 We are only limited by your imagination! 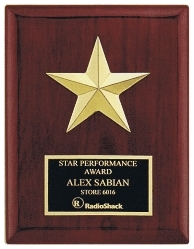 Can be gold filled for an impressive, elegant look. 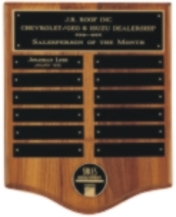 Please call for a quote on your pick of plaques. 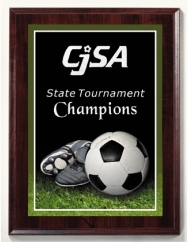 Figure castings available in over 60 activities, sports and/or achievement. 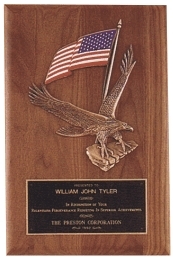 Perpetual plaques in American Walnut. 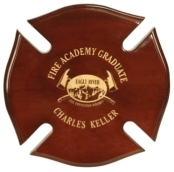 Available from 4 to 72 individual plates. 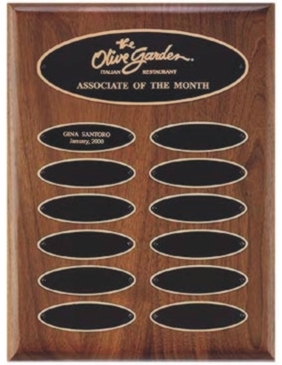 Contact us with your details and we’ll help you select the perfect plaque. 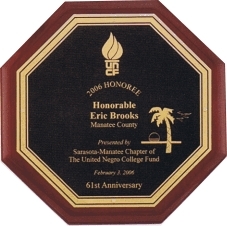 Custom Perpetual plaques are available. 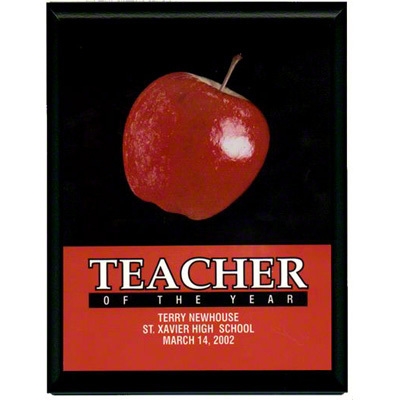 Full color Plaques are here! 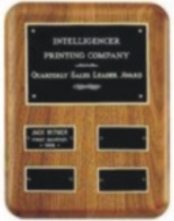 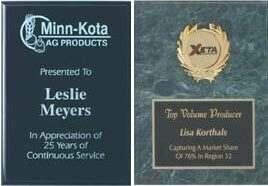 We can now put your full color logo or photo on plaques to create an eye-catching award that will be unforgettable. 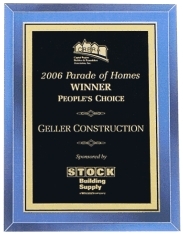 Call for help in selecting the perfect plaque for your event!